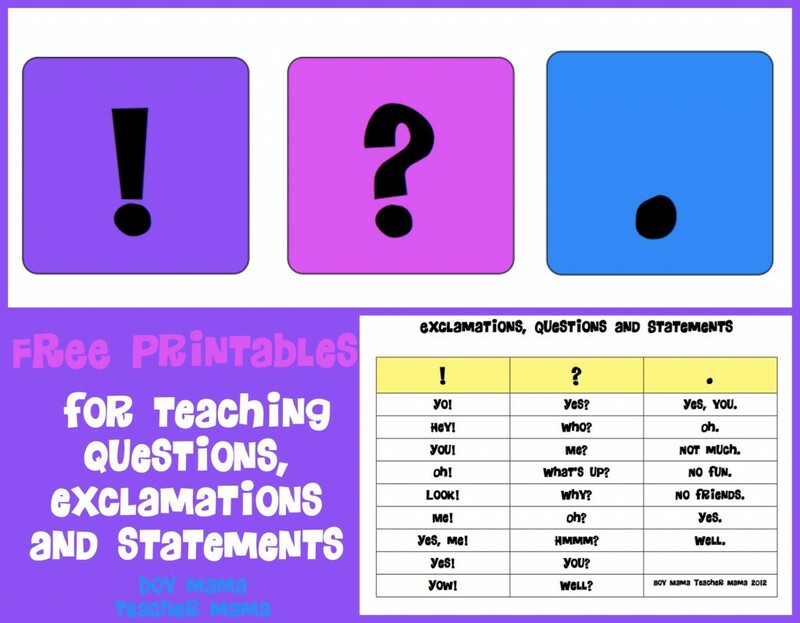 Looking for a way to teach your child about the difference between a question, a statement and an exclamation? Well, look no further! Here is a fun way to teach this concept to your child. Introduce the vocabulary words: question, statement and exclamation to your child. Give a few examples of each. A statement tells something. A question asks something. And an exclamation shares strong feelings or emotions. There is a fourth type, a command, but commands will not be addressed here. Show your child the cover of the book, Yo! Yes! by Chris Raschka. 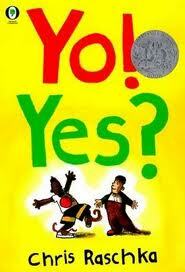 Read the title emphasizing the word, “yo” as an exclamation and “yes” as a question. 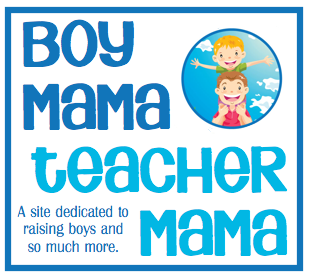 Ask your child if he noticed the difference in your voice when you read each word. 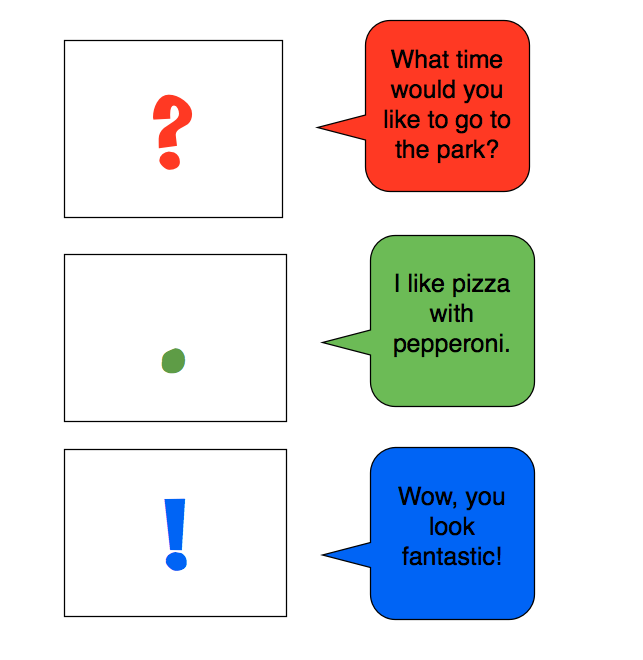 Talk a bit about how the punctuation at the end of a sentence or after a word gives the reader clues about how to not only read the word, but also the author’s intended meaning. Tell your child you are going to read the book now- straight through with no stops- and he should listen for words that sound like questions, exclamations and statements. Then read it. Have your child identify a place in the story where the characters asked a question, made a statement or made an exclamation. Record only one of each kind of word on the chart below. Read the book again then record all the words in the book on the rest of the above chart. Read all the exclamation words with enthusiasm! Read all the question words exaggerating the fact that they are questions. Read all the statements as just that- a statement. Read the book one more time and discuss what the boys are trying to say to each other. 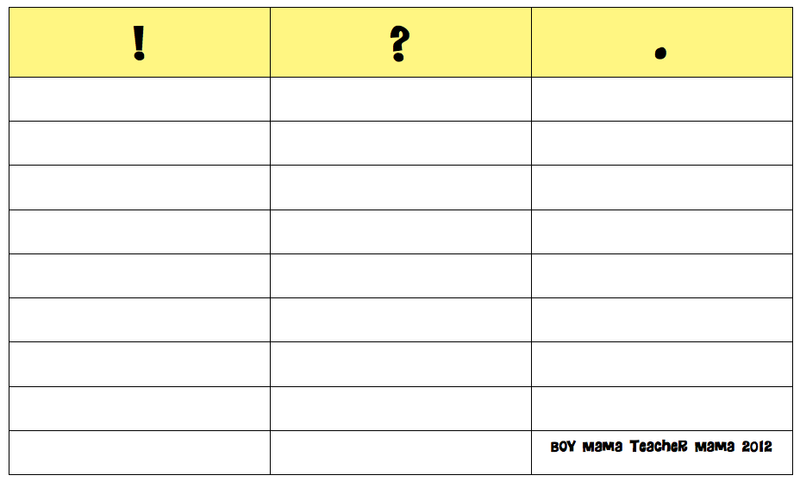 Print and cut out the game cards below. Create two piles- one with the words and one with punctuation marks. 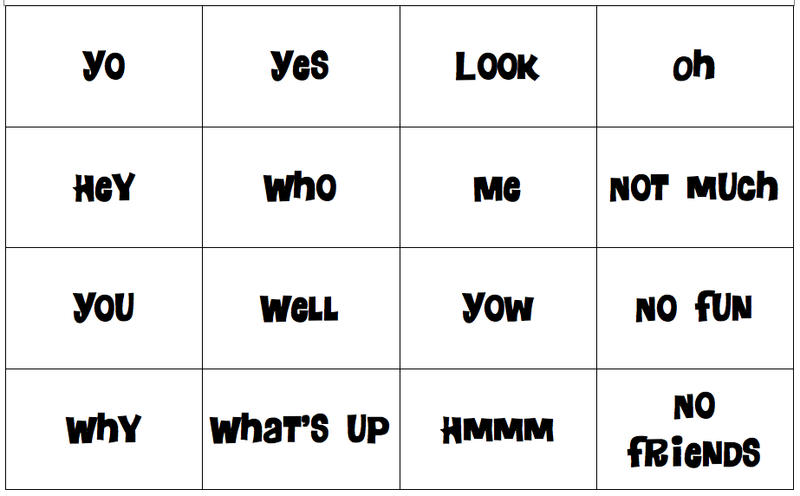 Have your child select one card from each pile and then read the word according to the punctuation that goes with it. Below are two examples. Continue to play the game until all the cards have been used at least once. Try reading the book again, but switch around the punctuation after each word and see how it changes the story. Write your own version of the story using only one or two words per page. Use two phones (play or real) and have a conversation about something using only a few words. 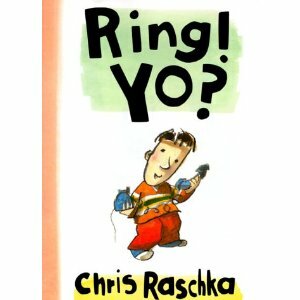 Read, Ring! Yo? also by Chris Raschka and do some of the activities above. Print and cut out the three cards below. Give them to your child. Read one of the sentences below (or make up your own). 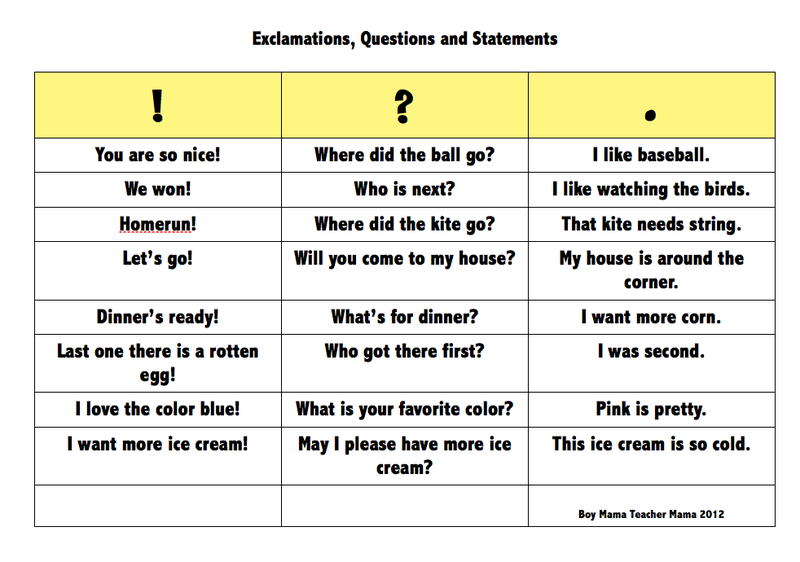 When you are done, ask your child if it is a statement, exclamation or question. To answer, he holds up the card with the corresponding punctuation mark. Repeat with another sentence. 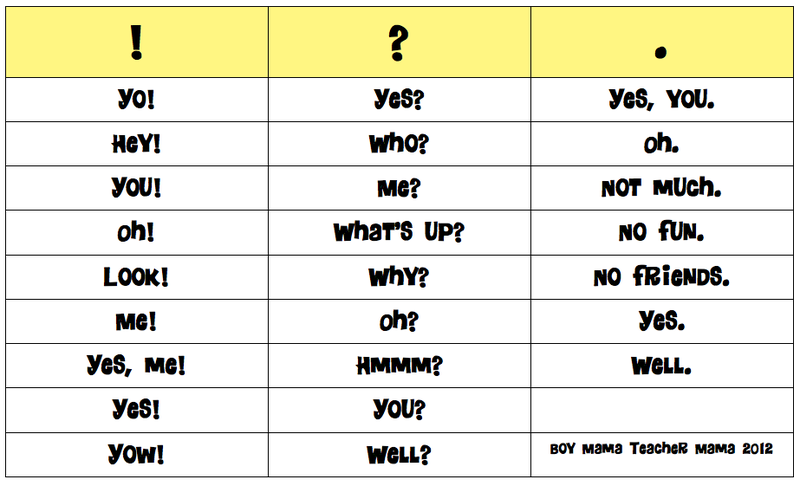 Have your child create a list of questions, statements and exclamation and have someone else in the house decide whether they are questions, statements or exclamations. 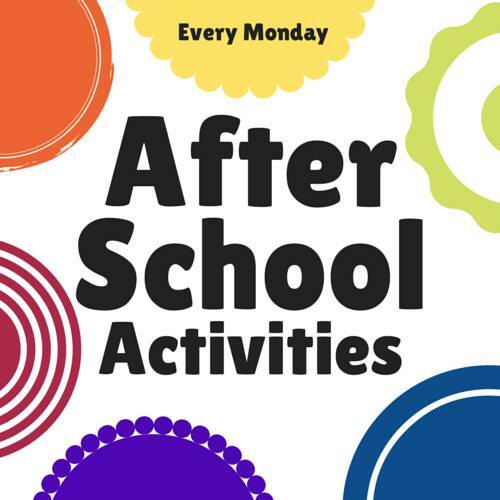 Posted in Children's Books and Activities, Reading, Writing and Spelling	| Tagged After School Linky, Ending Punctuation, Exclamation, free activities for teaching ending punctuation, Question, Statement, Yo! Yes! Thanks Janice! I haven’t seen this book in AU, but will keep an eye out! Wow, this is great!! All those printables you have made too! I will be keeping my eyes out for this book! Thanks! 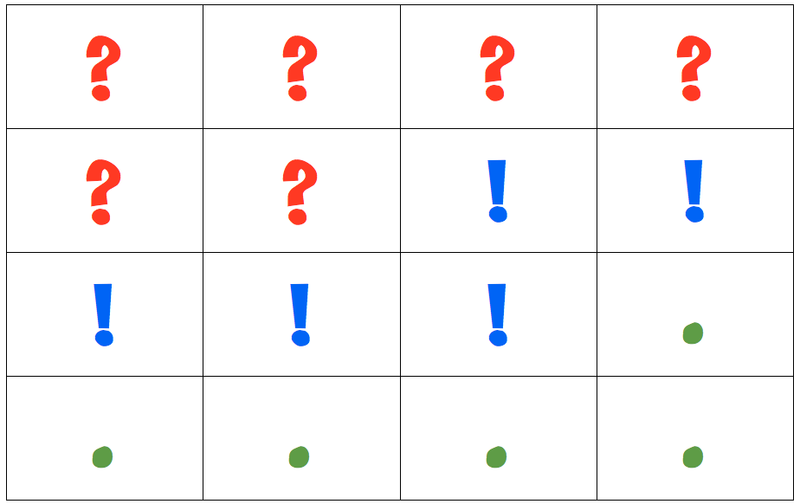 You are clever coming up with these games to help children understand the use of these punctuation marks.